Every old-school fan has some sort of list that compiles those who, they felt, should have been WWF Champion at some point or another in their career within the company. Personally, I can confirm that I am one of those old-school fans. 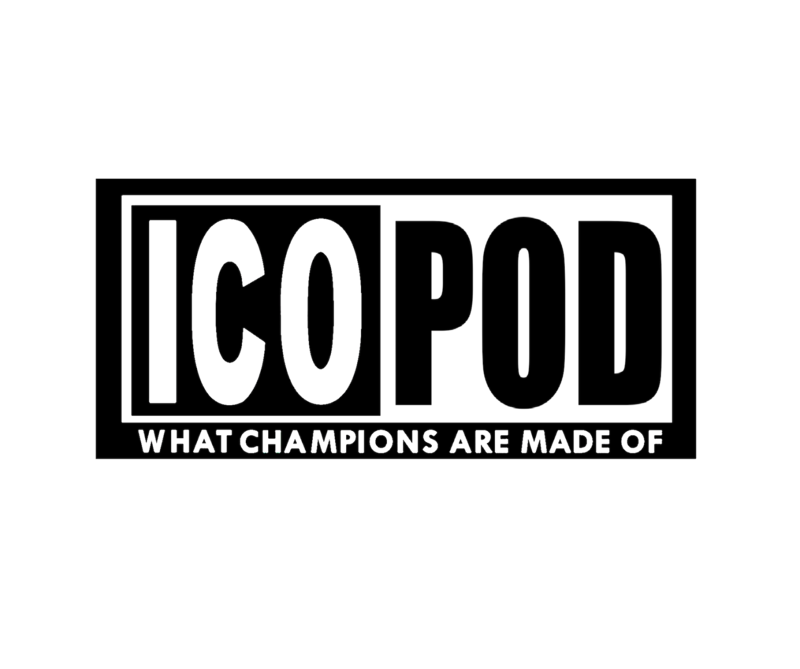 In this article, you will find my list of the men, that I believed, could have held the company flag quite well in their respective moments as ‘The Man’ , and why. “Rowdy” Roddy Piper– Madison Square Garden February 18, 1985: Roddy Piper challenges then-WWF Champion Hulk Hogan. For those who don’t know, ‘The Hot Rod’ really knew how to work a crowd and tell a story in the ring. In ’85 and in the years following, the man knew how to get the crowd to hate him. People hated everything from Roddy’s bagpipes featured in his entrance theme, right down to the kilts he’d wear to the ring. After he graced the crowds with a tirade of verbal abuse, he’d even use dirty tactics and outside interference to get the job done during his matches. He was a sound worker and one of the best during his time in my estimation. For these reasons alone, I believe, “Rowdy” Roddy Piper should have and could have held the gold sometime between 1984 and 1986, during the height of the crowd’s hatred for him. Would he have been a believable champion going over Hulk Hogan (The biggest babyface of perhaps all time)? One thing is for sure, he would’ve probably been booed out of every building as the champion for as long as he held the belt, and that alone, would’ve been worth the reign. 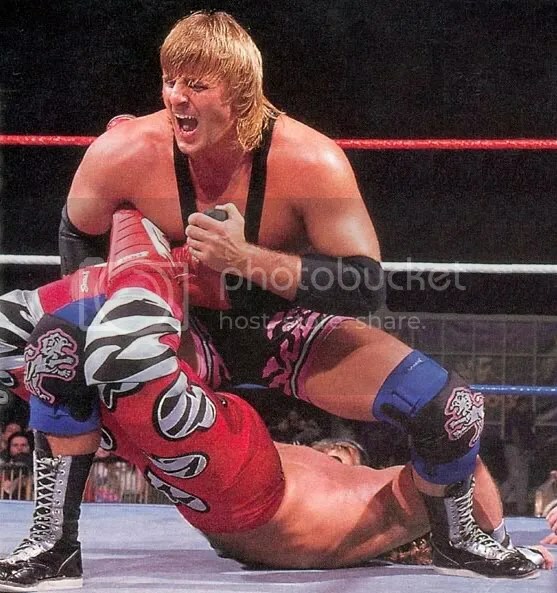 “The Black Hart” Owen Hart– WWF Raw December 29, 1997: Owen Hart challenges then-WWF Champion “The Heartbreak Kid” Shawn Michaels for the gold. 1997 was a great career year for Owen Hart. He was able to break out from the tag scene and really began to make a name for himself in the attitude era, as an edgy singles star. After his brother Bret had controversially left for WCW, Owen was nearly left out in the cold, with no Hart Foundation. This gained him some sympathy with the crowd that now appealed to his edgier “Black Hart” take-crap-from-nobody mindset. Had the WWF really hyped everything up and used Bret leaving as motivation for Owen to win the title, it could have made for very interesting TV. Just imagine, Owen wins the belt from Shawn and as champion openly and often threatens to leave for WCW with the championship as soon as his contract expires to join his big brother Bret… All so the Harts can reunite and collectively laugh at the WWF! Now that, would have been good. Either way, awesome storyline or not, Owen pretty much deserved the title around this time for his in-ring work alone. “The British Bulldog” Davey Boy Smith- WWF In Your House 4: “Great White North” October 22, 1995: The British Bulldog challenges then- WWF Champion Diesel for the title… and wins (by disqualification). In all seriousness though, I believe Bulldog’s best single days lied between 1994 and 1996. He really was in his prime physically and popularly, getting pretty decent reactions with what ever he was working at any certain time (be it heel or face). Could he have held the belt at this time? Yes. Would it have been a long reign? Probably not, seeing as this was a very transitional and uncertain time for wrestlers and Davey Boy had a certain knack for bouncing around promotions. By 1994, Bulldog had already been to WCW, and left and returned to the WWF twice! This may have diminished his chances from the get-go in the mid ’90s but, even with these things in mind, the man could have held that piece during this time and it is a shame that he didn’t. “Mr. Wonderful” Paul Orndorff- Saturday Night’s Main Event December 14, 1986: “Mr. Wonderful” challenges Hulkamania in a WWF Championship steel cage match. Arguable one of the most notable (and profitable) feuds in wrestling history pitted these two men against one another for the better part of the Golden Era. Paul Orndorff was the anti-Hulk Hogan in every sense of the word. He had the physique of Hogan, was managed by Booby Heenan, had an attitude of a Roddy Piper, known to cheat, and could have probably passed off as Hogan’s evil long lost half-sibling. This guys put on spectacles and it was no wonder why their matches became so popular at the time because, Hogan had (for the first time) met his near match. I believe Orndorff could have held the belt extremely well at this time and he and Hogan probably could have fought for the belt back and forth for a while after. Jimmy “Superfly” Snuka- Madison Square Garden June 28, 1982: Jimmy Snuka challenges then-WWF Champion Bob Backlund for the belt. Be honest. 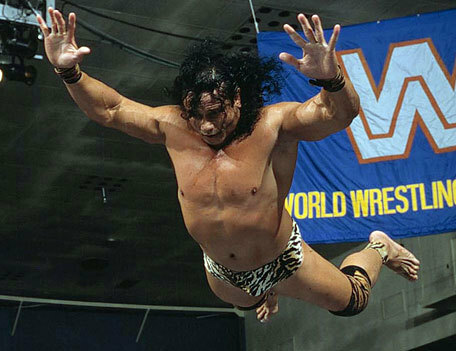 When you here Snuka’s name, you immediately think of that leap off the 15-foot high cage onto Don Muraco in 1983. But, did you know that he performed the same maneuver a year previous in cage match with Backlund for the WWF Championship? Probably not. As a matter of fact, the 1982 Snuka/Backlund cage match was declared Match of the Year by Pro Wrestling Illustrated. Yet, his work later on with Roddy Piper and the infamous coconut smashing made for great TV just the same. Piper and Snuka probably could have gone hand-in-hand as champions doing battle for the most prestigious title in the business. I think it would have sold tickets if was booked as a main event scene and heightened to it’s full potential. Then again, these were the heydays of Hulkamania. Imagine if they would have turned out to be the days of Snukamania… However was Snuka ever THAT over? Probably not, which may be why he was only able to hover around the Intercontinental scene during hid career. With the right story and showing though, he could have easily became a much bigger and dominant star in the ’80s, even WWF Championship material. “Mr. Perfect” Curt Hennig- Unfortunately, Hennig never officially challenged anybody for the WWF Championship. However, a feud did begin to build for Perfect to meet Hulk Hogan for the title until plans shifted and Mr. Perfect became the Intercontinental Champion. Hennig returned to the WWF around 1988-89 and he returned in a big way. This is when he adopted the Perfect name and began an undefeated streak for over a year beating many of the most popular mid-carders at the time (Take that Undertaker). With so much hype, the memorable promo vignette packages, Bobby Heenan, and the undefeated streak it is amazing that the WWF didn’t capitalize. The match could have basically booked itself, thrusting Curt Hennig directly to the top tier of performers at the time. It can be argued that his career needed some more time to support a major title reign but, stranger things have happened. This man coming in claiming that he was perfect could have easily proved it within the little time in which he had returned if he knocked off Hogan. Then again, had Mr. Perfect’s booking stayed in the WWF Championship scene, he may have never had the legendary matches with Bret Hart and many others for the Intercontinental Championship. Had he not been injured and derailed from in-ring competition for a little while (thus cooling off), I believe Curt Hennig would have made a Perfect champion around the early ’90s. You are amazing Austin. Your name will be in light someday.